The HITMAN games are some of my favourites ever, and I think the reason is that they feature such creative ways of killing people. While other games focus on more vanilla means of murder like guns and swords, the HITMAN games want you to be a little smarter. HITMAN games have always offered elaborate murder plots that end up using sabotage, subterfuge, and just general resourcefulness. The series has been out for some time now, and unlike other classics that have moved into the modern era, the HITMAN games have tried to keep to their core formula. Now bear in mind that no series is perfect, and so HITMAN did kind of deviate from the classic gameplay style with HITMAN Absolution, but even Absolution kept a lot of classic elements. IO realized that the fans loved what made the series unique, and so the HITMAN reboot brought back our favourite elements of the series. HITMAN 2 is here to do it again. Can it add some more style and flair without sacrificing the vision of the series? Well yeah… Yeah, it can. From the first level, I felt that HITMAN 2 was really trying to update and modernize the gameplay mechanics, but it wasn’t trying to reinvent them. That’s because the HITMAN games already have a ton going for them. You enter a large, open-ended level and you’re given one or more targets. There’s no real instruction beyond that, but you need to find a way to kill that target. In the case of HITMAN 2, when I say large I mean large. Levels are massive this time around, and you end up needing to check your map and use your HITMAN Vision (there’s an actual name for it but I forgot what it’s called) to work out where your targets are. You’re turned loose in the level and you need to work out exactly where to go and what to do. There are obstacles, of course. Enemy guards, security teams that frisk you, metal detectors, etc. And of course, the evil genius that is Codename 47 uses all kinds of dirty tricks to get around them. Much like with previous HITMAN games, after killing or incapacitating someone, you can take their disguise to fool people into letting you into places you shouldn’t be. And of course, in the pre-level menu, you can arrange to have weapons concealed on site. Really, you can try and do your best to totally infiltrate their security. As with previous entries, the series has a points-based system to reward you based on how well you do this. To encourage replay value, your points function as a sort of XP system with literal rewards. Finished a level with no alerts? You get a buncha point and the option to spawn in a different part of the level or even hide more weapons. Now as to the role of guns, if you absolutely want to, you can just go in guns blazing and off your targets, then nab a disguise to help your getaway. But why would you? The game’s best moments shine when you figure out that you can grab a random object and use it to sneak a weapon in, or that you can overhear a conversation that gives you intel on how to enter the building. The series gets downright cartoony when you start rigging everyday objects to blow up or fail, and you end up feeling less like a cold-blooded assassin and more like Wile E Coyote (minus the backfire of course). And I’d say the game really shines when it lines up these really long, elaborate sequences that you need to complete in order to kill someone. Part of the fun comes from the fact that with your best skills, you’ll end up with zero suspicion. It’s very orchestrated in a lot of regards but still very fun to execute (in both senses of the word). Now I mentioned replay value and that’s definitely a priority for HITMAN this time around. In every level, you get a series of *stories*. These are essentially side quests in which you interact with the characters in the level to reveal parts of their personal stories. These can be pretty elaborate, and a few of them tie into the game’s overall narrative. As with other HITMAN games, there is an overarching storyline, but much like pretty much every entry aside from Absolution (it really is the odd one out), the storyline is kind of a bigger picture thing, not so much something you’re moving through. The short version is that Diana (47’s mysterious classy British handler) and 47 need to take down a shadowy figure who knows about his past and is also involved in an all-out war against a shadowy organization. It’s appropriately cartoony and it definitely speaks to the series’ roots. It’s simple and effective, and more importantly, it ties into HITMAN’s recurring theme of ‘mysterious past’. However, it just feels lacklustre, and in some parts, it feels like they really should have scaled it back. All in all, HITMAN 2 is a very well-executed game. It runs like a charm on PS4 with a nice, smooth framerate and amazing visuals, and its controls are simple and intuitive. It’s a definite must-have for any fans of the series, and newcomers are encouraged to give it a serious shot. 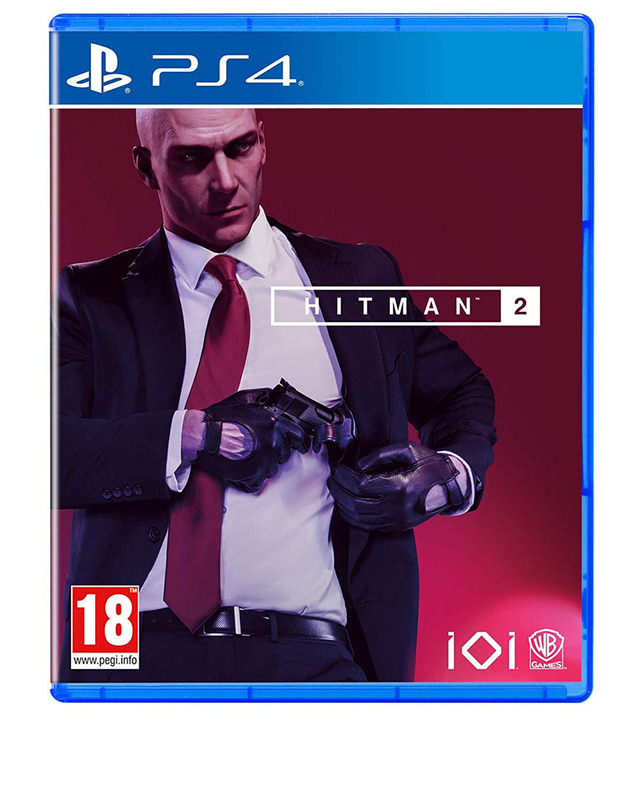 HITMAN 2 was reviewed using a PlayStation 4 downloadable code of the game provided by Warner Bros Games. The game is also available on Xbox One and PC via retail and digital release. We don’t discuss review scores with publishers or developers prior to the review being published (click here for more information about our review policy).